With the number of Chinese visitors to Samui growing, hotels and resorts on the island have organized their own festivities to commemorate Chinese New Year. 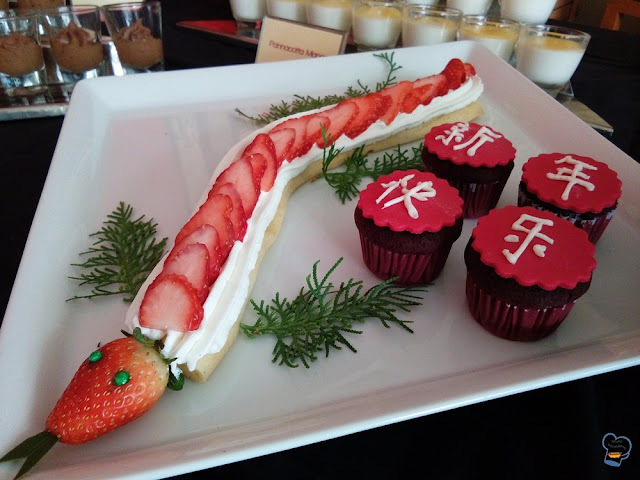 Since the resort I am working for is best known for its brunch, it offered Chinese- inspired dishes in honor of the occasion. 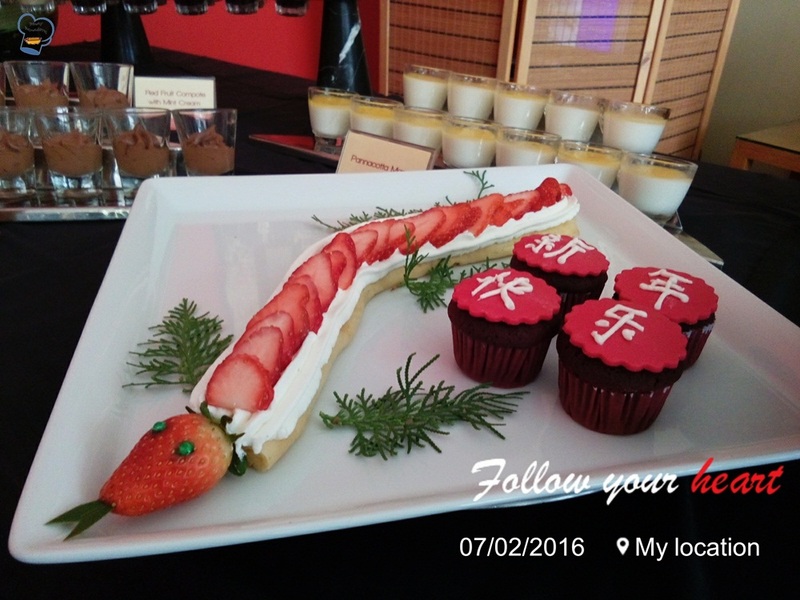 And of course the whole event would not be complete without Chinese-themed desserts. 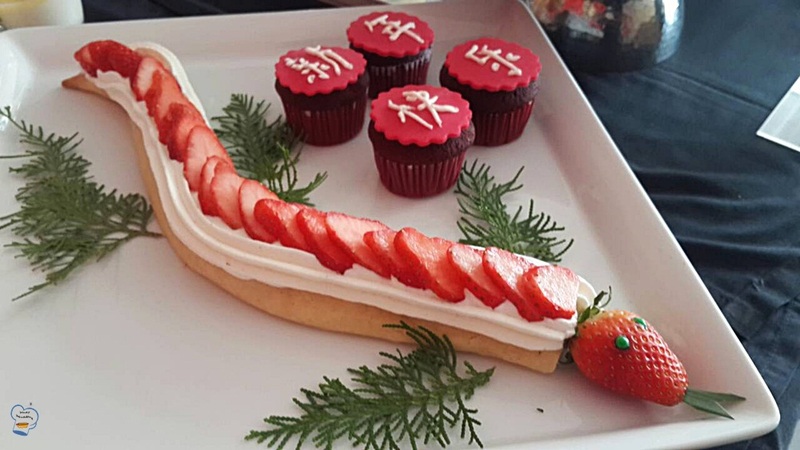 The chef wanted me to create a treat in a shape of a dragon. That's a big challenge but I said I'd try. I've never done such a complicated dessert. 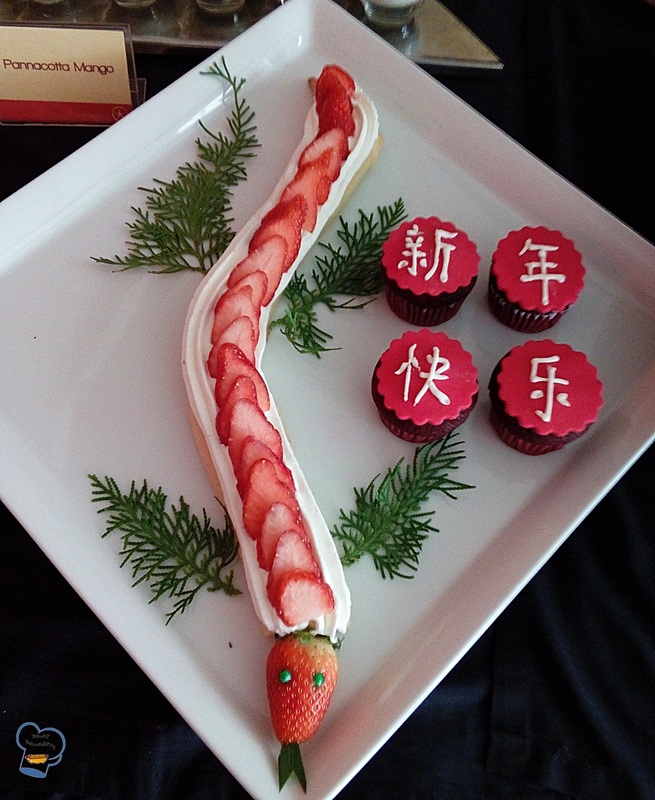 I turned to Google for ideas and found the strawberry shortcake dragon. I clicked the link and directed me to Pinterest. I am not a registered Pinterest user so I had no chance of knowing the recipe and procedure. As I was looking at the picture, I came up with the idea of using choux pastry dough to make the base. I needed a curve shape. Choux pastry dough wouldn't have any problem holding its shape. Problem solved. To pipe the batter, I used a 20 mm round piping tip. I skipped the egg wash because I didn't want a richly colored choux pastry. I baked it for 15 minutes. I let it cool completely before decorating. I used the star tip to pipe whipped cream. Lastly, I arranged the sliced strawberries on top. I used a whole strawberry for the face, green sugar pearl for the eyes, and banana leaf for the tongue. I didn't know how to make the legs so I used this green thingy (can't remember what it's called). To avoid the serving platter to look too bare, I put four red velvet cupcakes on the side. 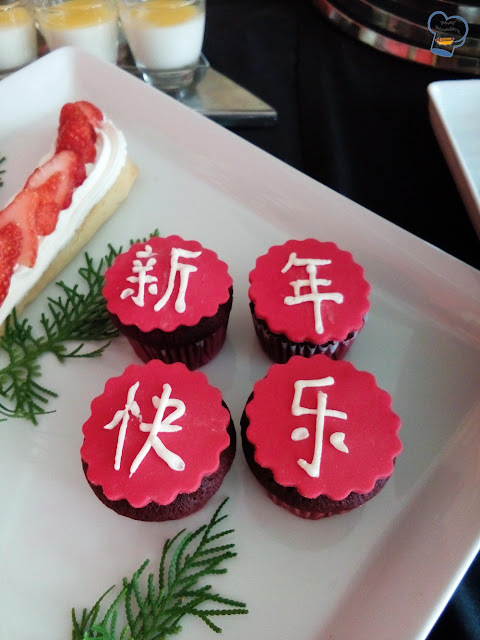 I covered it with red fondant and wrote the words Xin (new) Nian (year) Kuai Le (happy) in Chinese characters for a full impact.